As the first batches of Apple Watch start showing up on doorsteps across the world, people are buzzing about the latest and greatest smartwatch and all that it can do for them. Though they’re also wondering what they can do for it, to keep their new Apple Watch as pristine and operative as possible. Apple eagerly announced last week that their new device would be shipping sooner than originally expected according to Yahoo Tech, with many receiving their new Apple Watch last Friday, April 24, the official on-sale date. If you’re not nervous yet, wait until you see Unbox Therapy’s hands-on testing of the Apple Watch Sport screen scratch-resistance (hint: it’s not very pretty). Also, check out TechRax’s drop test of the 42mm Apple Watch Sport (again, read: it’s not pretty). That’s where we come in. 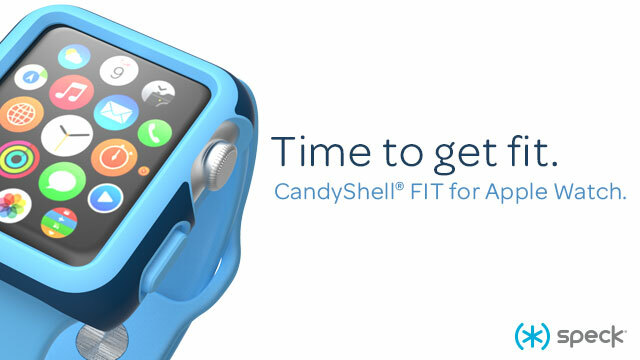 CandyShell Fit for Apple Watch clips on easily for on-the-go protection from bumps, knocks, and other abrasions. Most importantly, a raised bezel surrounds the screen to protect from scratches – so you can feel freer to explore more and engage in more rugged activities using your new Apple Watch. Be sure to sign up to find out first when CandyShell Fit will be available.